Cork senior football manager Ronan McCarthy. RONAN McCARTHY HAS announced his Cork senior football team to play Limerick in the semi-finals of the McGrath Cup. The neighbours will begin their 2019 seasons by squaring off at Mick Neville Park in Rathkeale at 2pm on Sunday afternoon. An experimental Cork line-up captained by Ian Maguire features eight members of the side that started when the Rebels exited the championship with a heavy defeat to Tyrone last July. The reward on offer on Sunday is a meeting with the winners of the game between Clare and Waterford in the McGrath Cup final. Cork are the holders, having beaten Clare in last year’s decider. Email “McCarthy names his side as Cork prepare to begin McGrath Cup defence”. 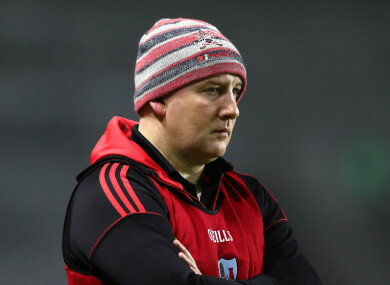 Feedback on “McCarthy names his side as Cork prepare to begin McGrath Cup defence”.